Dimensions 0 by 9 by 11 in. 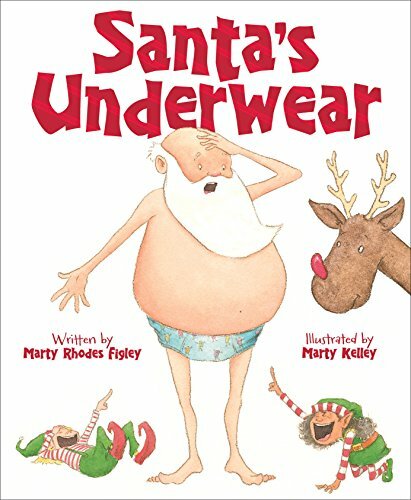 Amazon.com description: Product Description: It's Christmas Eve and Santa is busy getting gussied up for the big night. But when he goes to put on his warm, cozy (holey, ragged) Christmas underwear, they're nowhere to be found! With undies for every occasion, he tries on the rest of his collection. But nothing is quite right. Just when he's about to give up he find a surprise from his considerate team of reindeer. Ho, ho, ho, Merry Christmas! About: It's Christmas Eve and Santa is busy getting gussied up for the big night.